Early analysis indicates year-over-year drops in air cargo volumes in Europe and Asia, while American airports are close to flat with February 2018 traffic. Almost all airports worldwide posted year-over-year declines in volume for February and declines or very modest growth overall for 2019. Shippers are facing further confusion over the fate of cargo aboard the fire-stricken Yantian Express after an update revealed no change. In a statement, Hapag-LLoyd noted that discharged containers were awaiting transhipment, while those still on board would not be moved until results from technical inspections had been received. Moving house is a super-busy period when your moving and packing checklist will be full to the brim with important move-related tasks. 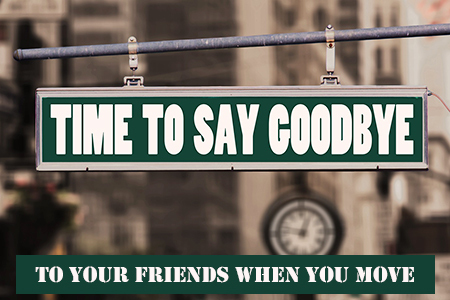 Still, no matter how busy you may be, you must do everything in your power to find time to say goodbye to your frie.. While DoD has indicated that they want more capacity and the ability to provide a higher level of quality during periods of peak capacity, its apparent that DoD doesnt understand how the current structure is set up; therefore, it doesnt understand how the proposed change to a single source contractor creates risks that the DoD doesnt need to create in order to get what it needs out of the program. USTRANSCOM Public Affairs published a press release highlighting GEN Lyons meeting with CEOs from various moving companies who support DoD household goods movement, and a separate meeting with moving industry trade associations. The press release is not an accurate account of the events of those meetings. Industry attendees believe the tone of the press release implied industrys support to the generals decision to award a contract to a single provider. To be clear, most of DoDs current household goods service providers do not support this initiative. U.S. Federal Maritime Commission officials told attendees of the American Association of Port Authorities Spring Conference in Washington, D.C., Wednesday that the third and final phase of the agencys investigation to bring commercial clarity to the system of accessing detention and demurrage is underway. The chief economist for American Trucking Associations has criticized a research paper written by a university professor and U.S. Bureau of Labor Statistics official that questioned the severity of the truck driver shortage decried by many in the industry. The new cargo and MRO buildings will ultimately have capacity for five million tonnes of cargo, according to local news VN Express. Further details regarding the cargo terminals designs are yet to be determined. Chinas contention that it has sovereignty over a large swath of the South China Sea violates the UN Convention on the Law of the Sea (which China has signed) and other rules of international law and practice, said Dr. Mark Meirowitz this week at a seminar lecture.